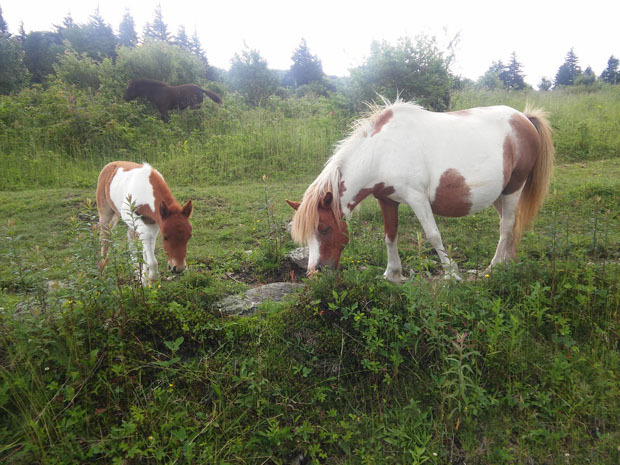 There are no shortage of ponies in Grayson Highlands. They are used to people, so it’s easy to take close up photos. Grayson Highlands State Park is located in the mountains of southwest Virginia. In addition to the serene mountain scenery, you also see herds of Shetland ponies that are purposely left to run wild in the park. I went with a sizable hiking group and spent a weekend at this beautiful state park. 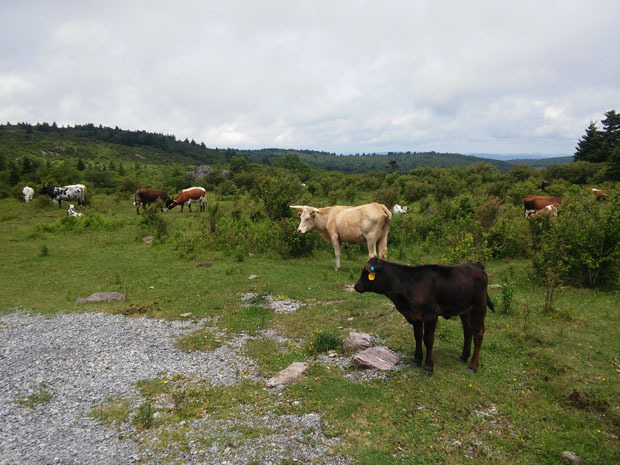 Unlike most mountain parks in the east, Grayson Highlands has a lot of open meadows and balds which gives visitor a clear and expansive view of the landscape even when you are not on top of a peak. I loved how different the park compared to the Blue Ridge Mountains and other places I’ve visited nearby. Other than the scenery, we also saw plenty of the famous ponies. It’d be harder not to run into them after hiking through the park. The ponies are used to people and allow you to get pretty close, but it’s frowned upon to bother them. We also saw a herd of longhorn cattle that roam the park during the warmer months. Also ran into some longhorn cattle along the trail. The longhorns are only here during warmer months, and rounded up during the winter. Some of the big hotel resorts at Myrtle Beach. The crowd was decent, but not overwhelming. No summer experience is complete without some beach time. I took a weekend trip to Myrtle Beach in South Carolina. Myrtle Beach is a well-known vacation destination in the southeast, and I remember seeing tourism ads of Myrtle Beach back when I lived in Upstate NY. 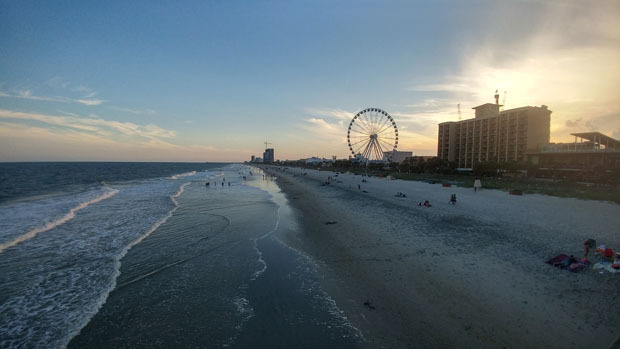 The beach at Myrtle Beach is certainly worthy of the fame, as the sandy beach is both long and wide. After playing in the water, I walked several miles on the beach to the downtown area and back to my hotel, splashing my feet in the water along the way. The downtown area really isn’t that big, but it has its share of restaurants and gift shops. The weather was wonderful that weekend and there were plenty of beach-goers, but I was honestly expecting more people to be there. Less people there, more beach for me. Myrtle Beach, near the downtown area with the Skywheel. 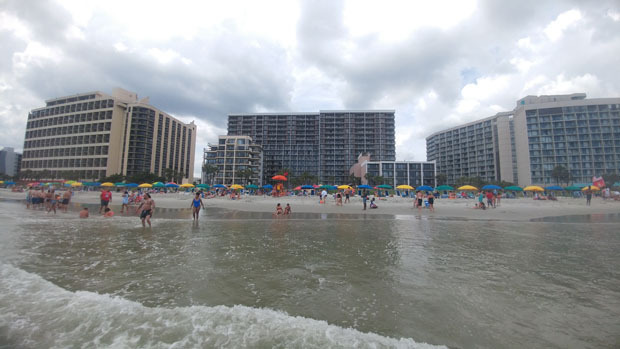 Being a vacation destination, Myrtle Beach is very commercialized and has many large hotel resorts along the shoreline. I stayed in one such resort, and had a fun time soaking in the pools and hot tubs. I ended my trip with a big crab leg buffet lunch, and a stroll in the Broadway at the Beach shopping complex before heading home. Overall my first trip to Myrtle Beach was quite enjoyable. During the middle of summer, I drove all the way from NC to Upstate NY and back, and visited a few places along the way. I was originally going to fly to NYC to attend a friend’s wedding, but my flight got canceled due to weather. There were no other flights available that would allow me to make the wedding, so I decided to drive. It was a long drive (especially thanks to traffic around Washington DC), but I was able to make the wedding. It was a beautiful wedding, and congrats to my friend and his new bride. FDR’s home doesn’t look too shabby, even compared to other mansions in the Hyde Park area. 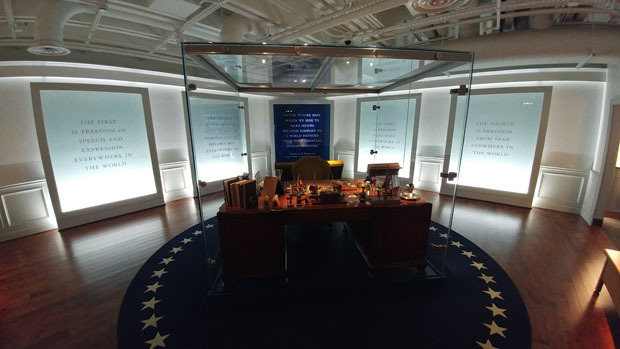 Inside FDR’s Presidential Library and Museum. I drove up to the Capital Region of NY State to see some friends, and then started my drive back home. And the way down south, I stopped at Hyde Park, NY to visit the Home of Franklin D. Roosevelt. Franklin D. Roosevelt was 32nd President of the United States and grew up in the area. 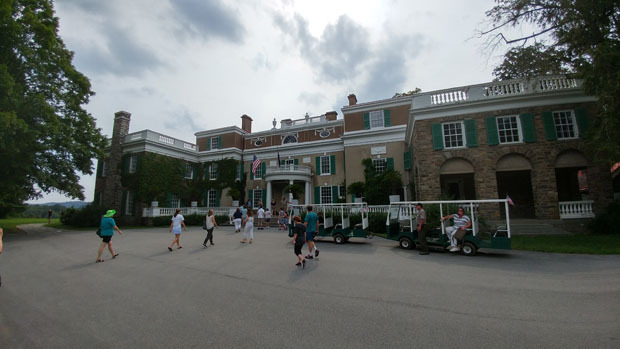 Admission to this National Historic Site includes a tour of FDR’s family mansion Springwood, along with FDR’s presidential library that is also on the estate. I am not a big American history buff, but I found the exhibits to be pretty interesting, and Springwood measures up to the other historic mansions in the area. It’s good to learn about FDR and his influence on American society. The view south from the Walkway over the Hudson. After visiting the FDR Historic Site, I drove a little further to Poughkeepsie to walk on the Walkway over the Hudson. As the name indicates, the Walkway is a pedestrian bridge over the Hudson River, and it is actually the longest elevated pedestrian bridge in the world. It was originally built as a railway bridge, but was converted to a bridge for pedestrians and cyclists. It’s a long bridge, and I didn’t have enough time to walk all the way across, so I settled for walking to the point where I was over the river. 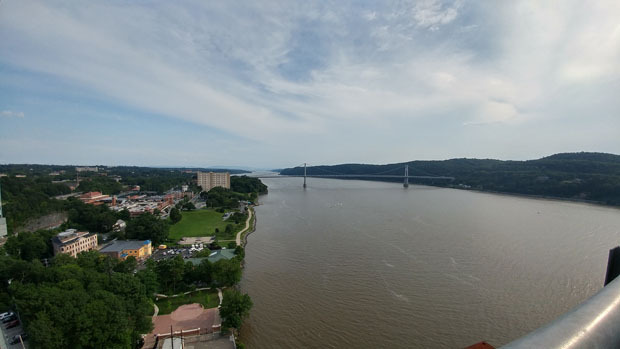 From on top of the bridge you can get great views of the Hudson River, Poughkeepsie and the Catskill Mountains. The main area of the National Aquarium, with several large pools and tanks full of interesting marine creatures. The next and last place I visited during my return trip was the National Aquarium in Baltimore. 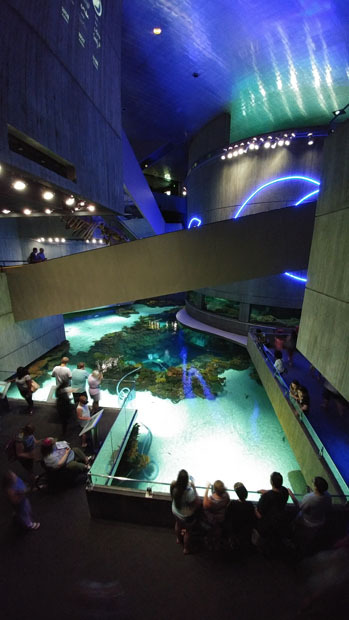 Located at the Inner Harbor area of Downtown Baltimore, the National Aquarium is the most popular tourist attraction in Maryland and attracts 1.5 million visitors every year. It was the largest and most elaborate aquarium that I have visited so far, and definitely will take at least 2 hours to walk through. The highlights for me were the big sawfishes and rays, and the climate-controlled tropical areas. 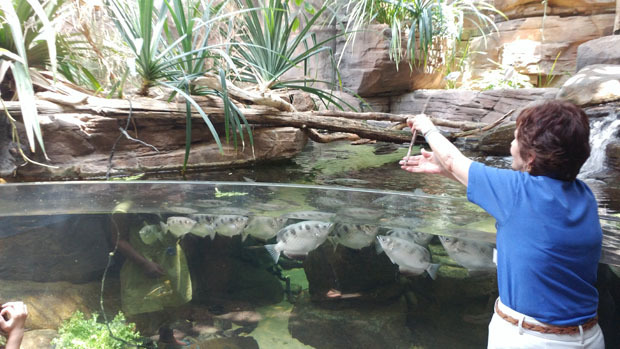 We saw an archer fish feeding demo where the archerfish would shoot water out of their mouths to knock off a bug on stick. 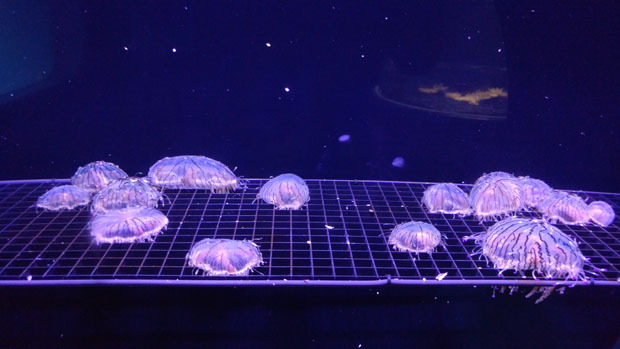 Of course, there are plenty of bright tropical fishes, otherwordly jellyfishes and other fascinating water creatures. Definitely a cool place to visit for kids and adults alike. Cool archerfish feeding demo. The archerfish spits water to knock the bug off of the branch. Later in the summer, I went up to the Big Apple for a weekend to visit a friend. 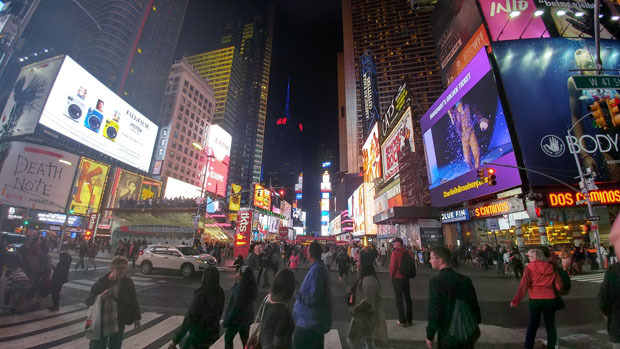 I’ve been to NYC several times before, but it’s such a cultural and entertainment hub that are still plenty of new things to do. One of these was watching my first Major League Baseball game. 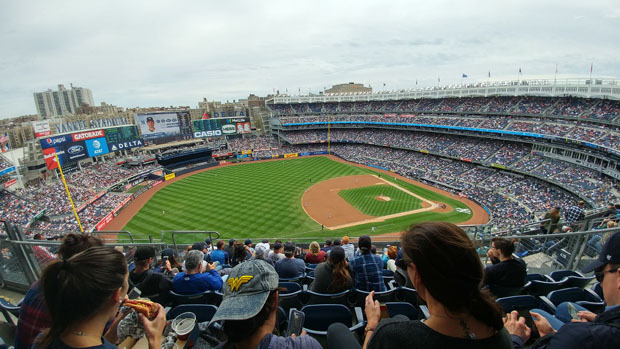 We went to the Bronx to watch the Yankees play the Boston Red Sox, who were the Yankee’s bitter rival throughout history. As expected, the game was well-attended, and the subway train to Yankee Stadium was packed with fans for both teams. The game itself wasn’t the most exciting, but it was my first time attending a MLB game so it was fun nonetheless. The hometown Yanks won 4-1 so most people went home happy. The view to the north from Top of the Rock. After the game, we went up to the Top of the Rock observatory deck for some views of the city. 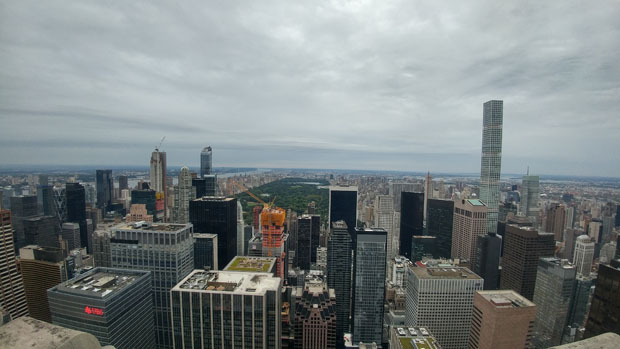 The Rockefeller Center may not be the tallest building in NYC, but it’s plenty tall enough, and it has a great location that allows for awesome views of Central Park to the north, and midtown and downtown Manhattan to South. The view is different than what you get at One World Observatory or the Empire State Building. All three observation decks are worth going if you haven’t visited them. 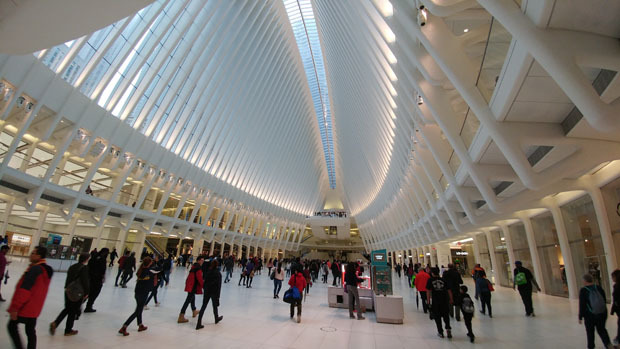 The PATH station at WTC is quite impressive. Another first for me during this trip was riding the PATH train that connects Hodoboken and Jersey City to downtown and midtown Manhattan. I stayed with my friend in NJ, so that was the way to get in and out of the city. 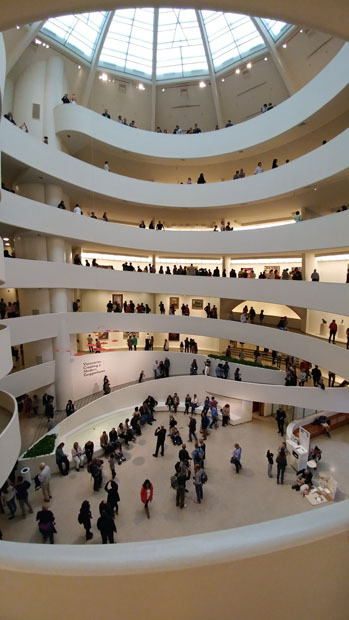 We also visited the Guggenheim Museum and the Frick Collection, which are two museums in NYC that I have not visited before. The Guggenheim Museum certainly stands out due to the way that it’s built, as the museum consists of a spiral walkway that goes from the ground floor to the top. 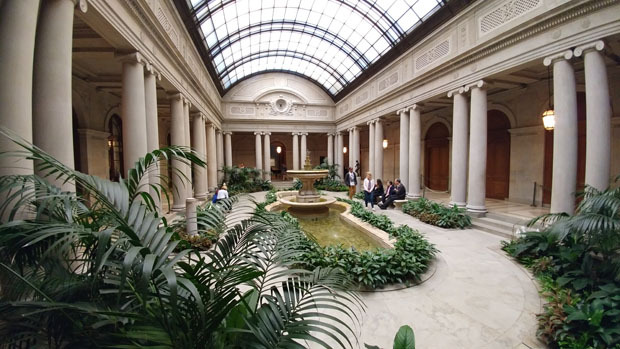 The Frick Collection combines an art museum with an opulent mansion from bygone days. It was too bad that visitors can’t take any photos at the Frick Collection except for in the courtyard though. The Guggenheim Museum’s signature spiral walkway. The courtyard at the Frick Collection is the only place in the museum you can take a photo. The last of the “firsts” I experience in NYC was attending a Broadway show. 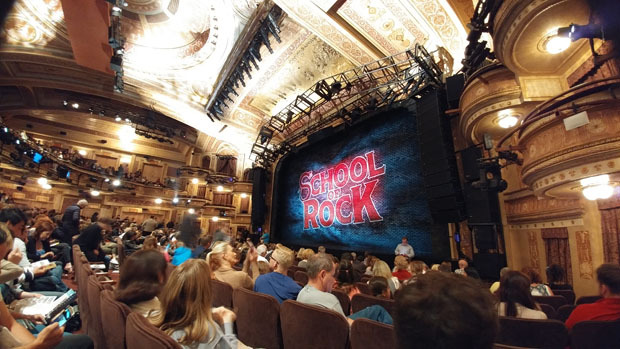 We attended The School of Rock at the Winter Garden Theater. The tickets were pricey even when bought from the discount TKTS booth in Time Square, but we really enjoyed the show. The performance was lively; the music was catchy and the crowd really got into the show. I will probably try to check out a different show the next time I’m in the Big Apple. Waiting for the School of Rock to start. Other than doing all the touristy stuff, we also enjoyed the diverse array of restaurants that New York City had to offer, especially the Asian cuisine. Asian food has been improving in the Triangle NC area, but it doesn’t really compare to NYC. I had authentic Malaysian food for the first time, and it was pretty tasty. We also had dim sum in Manhattan’s Chinatown. The dim sum was better than anything in North Carolina, but honestly it was not as good as the ones back in Vancouver. Overall, I had a great time in NYC this time around. I visited some new places and ate some pretty good food. I’m sure I’ll be back in NYC some time in the future. I spent a week in the Bay Area of California for work. Since it was a work trip, I spent a lot of time working, but I still found some time to do some exploring. The first thing I did was drive up to the top of Mount Diablo. Located in the state park of the same name, Mount Diablo stands at 3,849 feet and is visible from most of the Bay Area. Visitors can drive all the way to the summit through a winding scenic road up the mountain. When I drove up, there weren’t many cars, but there were quite a few cyclists. Riding uphill on that road must be quite the endeavor lol. Being the tallest mountain in the nearby area, the summit of Mount Diablo offered up 360 degree views of the surroundings. On a clear day, you can see San Francisco Bay, but they were covered by mist of low lying clouds when I was up there. The views from the top of Mission Peak. You can see how parch dry the Bay Area is during this time of the year. While I drove up Mount Diablo, I also did some hiking and trekked up to the top of Mission Peak in Fremont. 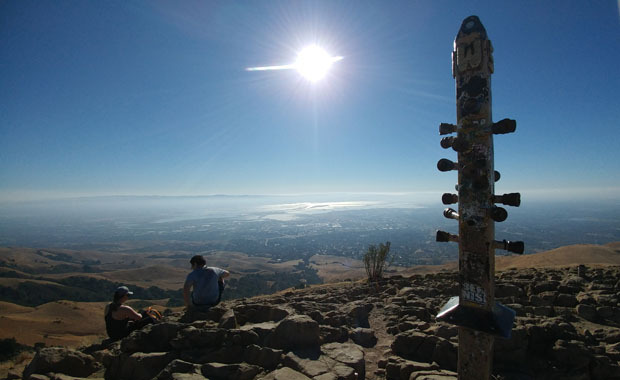 Mission Peak is one of the more popular summits in the Bay Area due to the location and views it offers. I hiked up from the less crowded starting point at Ohlone College. It was a 6 mile hike out and back, and it was a pretty strenuous hike. The trails are in pretty good shape and consists mostly of gravel paths, but there were some pretty good inclines. During the hike, I could definitely see the parch-dry California landscape as all of the grasses on the mountains were a golden yellow. It’s very different than the lush green woods in NC. The hike was tough, but the gorgeous view of the southern Bay Area was worth the effort. 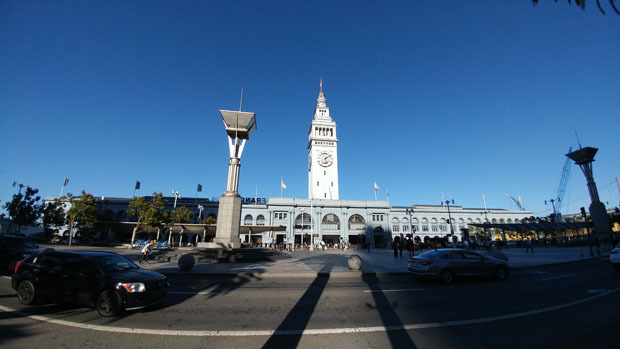 The Ferry Terminal is one of most recognizable buildings in San Francisco. In addition to getting in touch with nature, I did do some urban exploring in San Francisco as well. I spent some time walking around the downtown area and visited the Ferry Building, and then walked to Chinatown for some yummy food that I can’t get in NC. I also drove up to Twin Peaks to get some great elevated views of the entire city of San Francisco. Other than the overnight trips, I also found some fun things to do in the local area. Taking a picture of the eclipse isn’t easy. 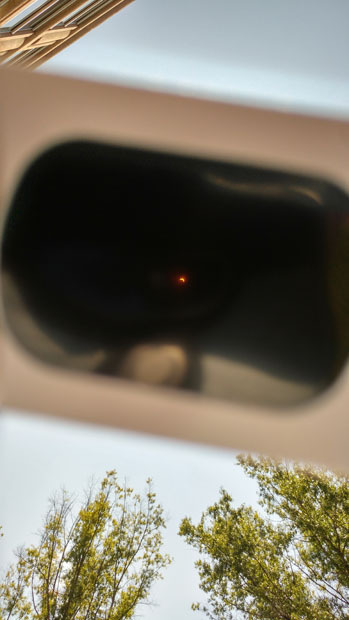 This is as good as I could do with my viewing glasses and cellphone camera. This year was the Great American Eclipse, where a solar eclipse tracked across most of North America. The path of totality (where the total eclipse could be viewed) tracked through South Carolina which is not far from where I lived, but I stayed in North Carolina instead and saw the 90% partial eclipse from the parking lot of my office. We had a little eclipse party at work and everybody in the building was out looking at the eclipse. Paddleboarding on the swamp among the trees is quite the unique experience. Summer is of course a good time for water sports. I went on a stand-up paddleboarding (SUP) outing at the Robertson Millpond Preserve. 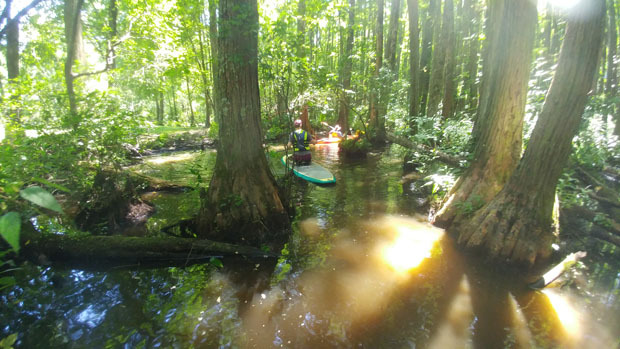 It was a fun and unique experience because we were doing SUP in a swamp, trying to navigate between the narrow waterways between the trees that grew out of the water. When I learned how to SUP last year, I fell into the water multiple times, but this year I managed to stay on my board the whole time. Falling into a shallow swamp with lots of branches and roots wouldn’t have been fun. I did have to get on my knees for some of the more challenging and narrow sections. 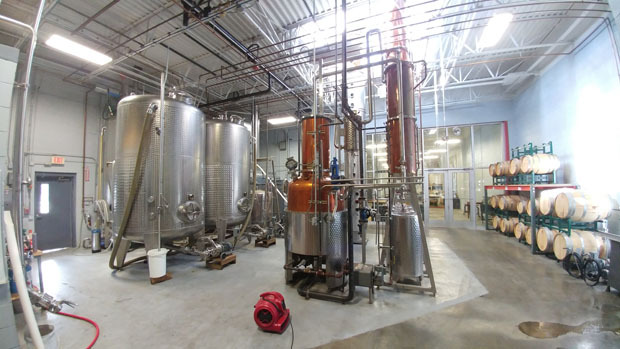 Touring a distillery in the Triangle area. Got a couple of tastings of the products too. I also went on a brewery tour and a distillery tour. I’m not a big drinker, but I love going to tastings and discovering new places. 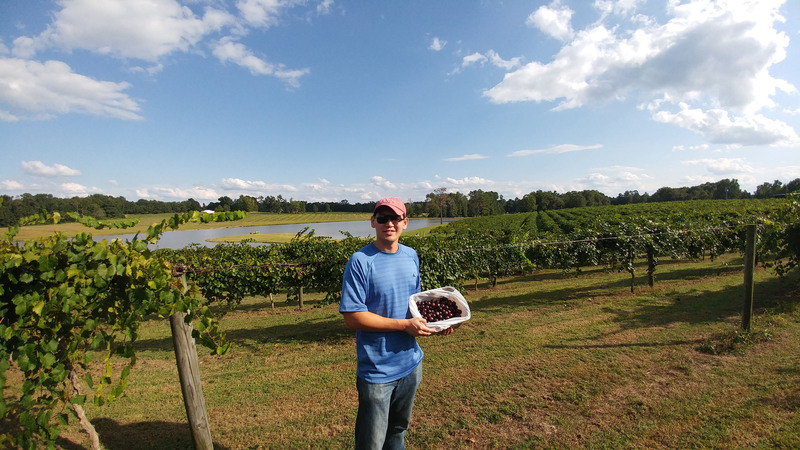 Lastly, to mark the beginning of autumn and the harvest season, I went to pick some muscadine grapes from a local winery. Muscadines are a species of grape that is native to the Southeastern US. They are round, grow individually rather than in bunches, have thick skin, seeds, and an unique flavor. Muscadines are typically used to make sweet wine, jam, or eaten as is. I like eating them so I picked a couple pounds that I ate over the course of a week. That’s all I have to write for this post. It turned out to be a rather long post, which I am happy about since it meant I had a lot of fun during the summer. And I didn’t even take that many vacation days.